Kyria is an ambitious company driven by our core values of Integrity, Commitment and Quality. These are reflected in everything we do, including the way we treat ourselves! The company was recognised as an Investor in People in January 2006 and has maintained recognition ever since. Kyria was founded by Howard Perkins and Dr David Young and started trading in April 2003. Since then the company has grown significantly and became part of the CCL group in 2017. 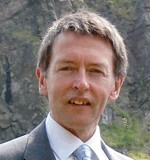 HOWARD PERKINS EUR ING, CENG, MIET, BA (OXON). Kyria's Managing Director graduated from St. John's College, Oxford with a First Class Honours Degree in Engineering Science. Since then, his career has spanned the manufacturing, utilities and IT sectors. Howard's corporate and leadership strengths are underpinned by considerable technical knowledge and a clear understanding of the business benefits that technology can deliver. Dr David Young graduated with a Masters Degree in Manufacturing Sciences and Engineering followed by a PhD in Electronic And Electrical Engineering, both at Strathclyde University. 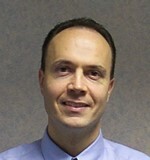 He has over 20 years experience in the Energy Sector, ranging from safety critical computer based control systems in Nuclear Power stations (He spent a year in the USA seconded to Westinghouse working on the next generation PWR project), to business critical Energy Management Systems. As co-founder and Technical Director, David brings a wealth of IT, electrical and C&I knowledge and experience to the company.